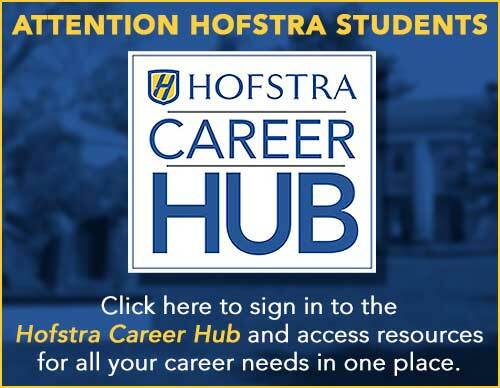 The Career Center supports the mission of Hofstra University and the Division of Student Affairs by creating a positive environment where personal and professional growth lead to successful outcomes for students, alumni, and employers. We offer one-on-one counseling services, in-person and online workshops to groups (classes, student organizations, etc. ), career fairs, creative connection and networking events to connect students to alumni and other professionals, field trips to companies, collaboration with departments and campus partners and much more. All of our services are designed to help students explore, prepare, connect and share as they develop and pursue career-related goals.